Democratic Republic of Congo, Goma: cop and 4 rioters killed as general strike initiated by political organisations closes down city “Shops, schools and markets were closed this morning, and in some neighborhoods young people erected barricades before demonstrating in the streets. The police then intervened by firing tear gas and live ammunition to try to disperse the protesters. 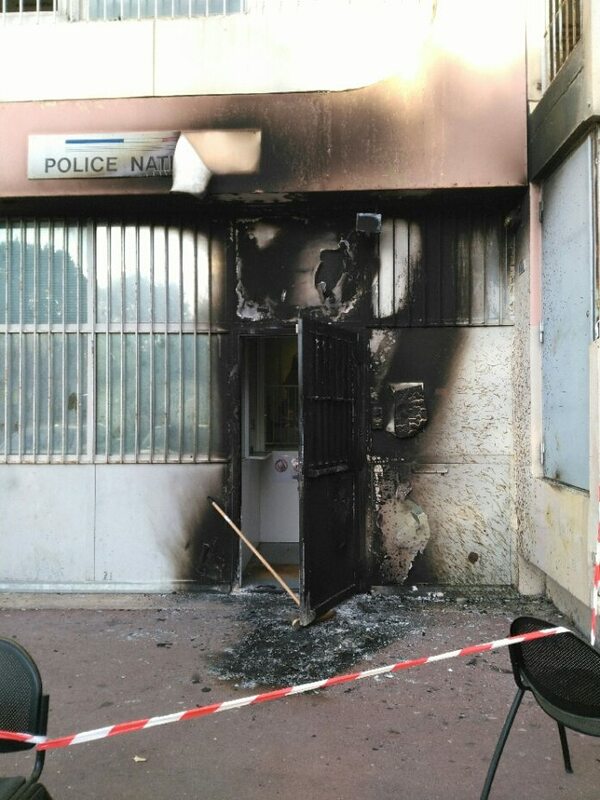 They reacted by burning the police station of the popular district of Majengo, in the north of the city…. at that moment …four civilians were killed by police bullets. 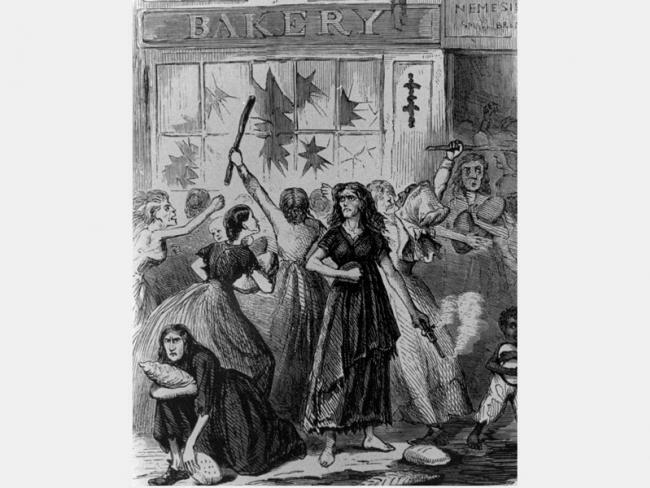 In a rage of fury, young people then threw stones at police officers. Appraisal: one policeman killed and two others seriously injured.” As is often the case with political protests, things go beyond the confines of what the competitors for state power want, which is not to minimise the dangers coming from people’s hope for change by some hierarchy or other. More about the Chinese state’s intensification of surveillance technology and techniques here. “KASHGAR, China.This is a city where growing a beard can get you reported to the police. So can inviting too many people to your wedding, or naming your child Muhammad or Medina. Driving or taking a bus to a neighboring town, you’d hit checkpoints where armed police officers might search your phone for banned apps like Facebook or Twitter, and scroll through your text messages to see if you had used any religious language. You would be particularly worried about making phone calls to friends and family abroad. Hours later, you might find police officers knocking at your door and asking questions that make you suspect they were listening in the whole time….” See also reports for 21/10/17 & 14/10/17 below. A contact writes: “This is more than the “infrastructure of authoritarianism”. This is the construction of a comprehensive, truly totalitarian police state whose ambition is to reduce everything outside the control of the CCP to zero. As is pointed out in the article, the logic which directs this mega-project in which corporate China is willing partnering, is none other than the logic of the capitalist marketplace, whose totalitarian logic the Chinese State, has recognized as such. 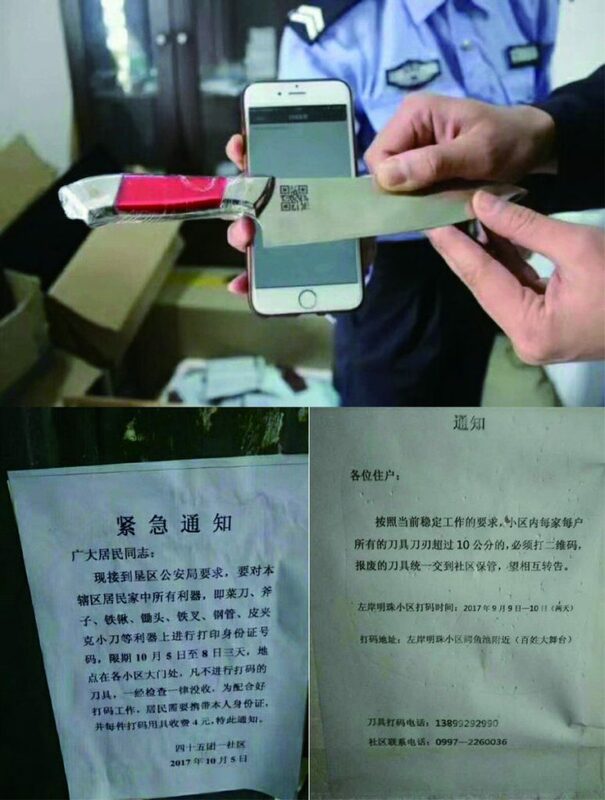 The cool rationality by which the Chinese bureaucratic capitalists use the complementary systems of old-style Leninoid monitoring and surveillance (“a good Communist is also a good Chekist” – which is why a good revolutionist will kill them unhesitatingly) is coupled with the tracking and sorting of the advanced consumer “service net” to produce an air-tight maximum security state, presents an interesting contrast to the gaseous gibberish about “free markets” and other swill that we hear given vent by the sages of Silicon Valley, as they justify the piecemeal assembly of a exactly parallel construction here, a construction whose potential will not go unnoticed in future “national emergencies”. This is the end for anyone who had any lingering hopes that Chinese “civil society” could overcome totalitarian bureaucratic capitalism with (for the moment) Chinese characteristics. 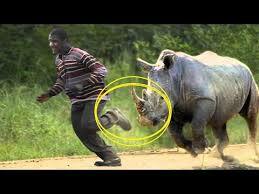 It is also a warning that such developments in the West are not far off. We have little time left.” However, to tone down a bit this vision of absolute totalitarianism, it should be made clear that one of the strategies of the state – for a long time – has been to make people think that the state is like a materialist God – it knows and controls everything. Its presentation of itself is intended to instil absolute resignation because, of course, “you can’t beat the system” (as a widely-distributed ad warning against fare-dodging on the tube put it – in London in the 1980s!). Although the means available to it is vast, petrification – terror and submission – in the face of it all is what the rulers want above all, as if the technological means of absolute control at the disposal of the state is perfect, regardless of how much, in fact, it is. UK, Manchester: those who have no steak in their reduction to commodities refuse to be cowed, knowing that the emancipation of animals is the task of animals themselves…London: graffiti put on statue of obnoxious scum Not as good as the punk makeover of the genocidal Winston Churchill, blood oozing from his mouth, on May 1st 2000 which was later made into a great sticker under which was written: “THIS WAS HIS FINEST HOUR”. One of his lesser known contributions to being “one of Britain’s most revered prime ministers”, as this article claims, was his deliberate mass starvation of the Bengalis during World War II. When Churchill requisitioned the Bengalis boats, essential for the distribution of rice, Earl Mountbatten made arrangements for 10% of the space on his battleships to be put aside for rice distribution. Churchill promptly withdrew 10% of Mountbatten’s battleships. 3 million died. 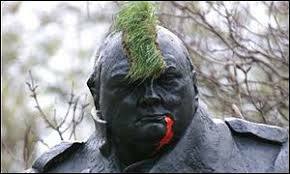 “They’ll reproduce themselves soon enough”, Churchill was meant to have said. The above 3 reports might seem irrelevant in terms of “opposition” – they are more symptoms of a desire for fun and hate for the cops than anything remotely serious, but the generally desperate times amidst an absence of any serious threat to dominant social relations means I sometimes seem to clutch at the straws of something better than nothing. Obviously it could be seen simply as some kind of momentary catharsis, expressive of a largely arbitrary hitting out in random directions. 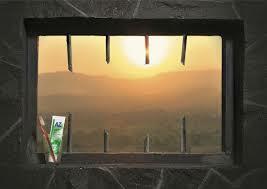 But at least it’s a way of seeking some “spare time” activity, outside of the externally-organised forms of leisure. Besides, what else is there to do on a Sunday? 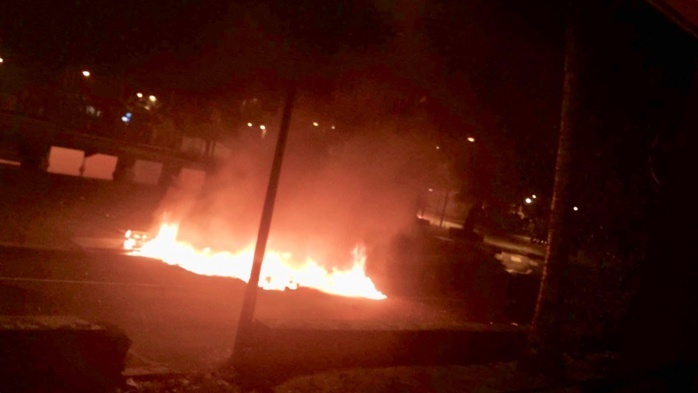 Argentina, Buenos Aires: some clashes after official verification of Santiago Maldonado’s dead body some 80 days after his disappearance “…when the demonstration was dispersed there were some incidents in front of the Cathedral. One group broke up the first steps leading to the Municipal Palace, where Diagonal Norte and Avenida de Mayo converge, and threw rubble against the fences placed there by the Police in front of the Metropolitan Cathedral. Then another group set fire to some garbage cans and dispersed without any arrests.” See entry for 7/8/17. Also this statement, translated into English, from Argentinian anarchists. China, Xinjiang: another report on intensified surveillance methods “Under Party Chief Chen Quanguo, a hardliner who was credited for quelling a wave of unrest in Tibet, Xinjiang is emerging as a “perfect police state,”…The ubiquity of government surveillance in Xinjiang affects the most prosaic aspects of daily life…. D., a stylish young Uighur woman in Turkey, said that even keeping in touch with her grandmother, who lives in a small Xinjiang village, had become impossible. Whenever D. called her grandmother, police would barge in hours later, demanding the elderly woman phone D. back while they were in the room.… China’s government has invested billions of renminbi into top-of-the-line surveillance technology for Xinjiang, from facial recognition cameras at petrol stations to surveillance drones that patrol the border.… Security has become a big business opportunity for hundreds of companies, mostly Chinese, seeking to profit from the demand for surveillance equipment in Xinjiang…. China is pouring money into its budget for surveillance. ,,,its investment in information technology transfer, computer services, and software will quintuple this year from 2013….Other equipment, like high-resolution cameras and facial recognition technology, is ubiquitous. …China has become one of the earliest adopters and developers of facial recognition technology. The wide adoption of such technology in public spaces ranging from shopping centers to university dormitories has created convenience for many but also raised concerns about privacy and safety… Xinjiang residents are forced to install surveillance apps on their mobile phones.” See also entry for 14/10/17 below. 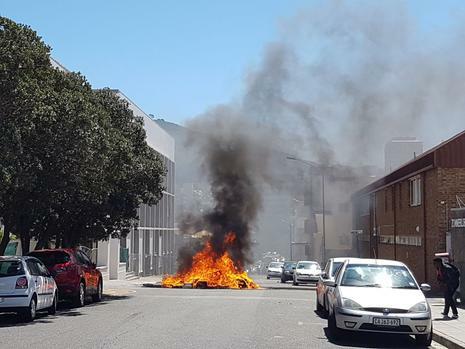 South Africa, Western Cape: situation at University continues to simmer “…there had been “sporadic incidents of cars being stoned but we have identified a secure area which is being heavily guarded by security”. Students, who spoke to Weekend Argus on condition of anonymity, said: “We have spoken to (acting vice-chancellor Chris) Nhlapo. He doesn’t listen; we will show him flames. We want him to see cars fly, but everything we do from now is done underground, we cannot afford to be seen and we cannot be very vocal about our plans”. US, California: 3 cars belonging to Bel-Airheads vandalised…California: Daily Mail characterizes boring peaceful demonstrators against Bannon as “rioters” (see caption under 3rd photo down, and the html version of link: http://www.dailymail.co.uk/news/article-5003045/Protestors-riot-Steve-Bannon-prepares-key-note-speech.html). 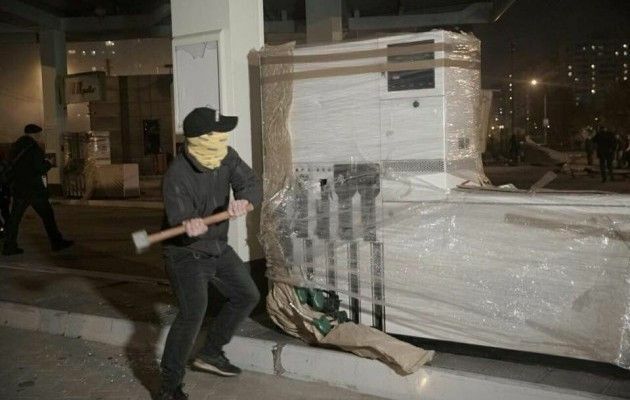 Nowadays, journocops caricature a few people throwing a can as “a riot”, but this is the first time I’ve seen such an obvious misnomer being applied to an essentially passive demonstration. South Africa, KwaZulu Natal: 2 or 3 schools vandalised in protest over exam confusion “Three Pongola schools were believed to have been vandalised and set alight following the protest last week. 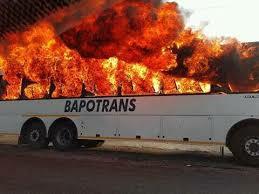 However, police spokesperson Colonel Thembeka Mbhele could yesterday confirm only two incidents. “On Monday, pupils allegedly broke school windows during a school meeting in one of the high schools… Pongola police arrested a 20-year-old suspect and charged him for malicious damage to property,” she said. “On Thursday, at about 8am, a group of pupils allegedly stole cash and laptops from the staff room and set the school property alight… A case of malicious damage to property was opened at Pongola police station. “No arrest has been made at this stage, but the stolen cash was recovered by police”. Togo: 4 shot dead as barricades etc. spread round 2 major cities “The government said three people were shot dead in second city Sokode while one was killed and several wounded by gunfire in capital Lome. ..This week’s planned protests are the latest against President Faure Gnassingbe, who has been in power since 2005 and whose family has ruled the West African nation since 1968. Earlier Wednesday, streets in Lome were blocked and most shops were shut in the commercial area of Deckon, according to AFP reporters in the city….Groups of youths blocked main roads around the district with makeshift barricades of stones, burning tyres, tree trunks or burned-out cars….”Soldiers have been going into houses since three o’clock this morning (0200 GMT), beating young people so they don’t go to protest today…We have shut ourselves away in our homes… Young people are fleeing into the bush in fear of a crackdown….This morning, a local chief was beaten up by soldiers as he left the mosque. In retaliation, locals set fire to the vehicle belonging to the head of the armed response team.” On Tuesday, two teenagers and two soldiers were killed during clashes in Sokode that followed the arrest of a local imam who is close to the PNP. The violence has spread to several other cities in the north as well as Lome. Since the first protests on August 18, eight people have been killed, including a 10-year-old child, three teenagers and two soldiers, while there have been about 100 injured.” Of course, the pretext for this is the desire for “democratic reform”, called for by the official opposition. Which doesn’t mean that everybody involved believes in this official opposition, though of course, one should never ignore the enormous lack of class consciousness here, as elsewhere in the world. South Africa, Western Cape: university to re-open with armed guards and razor wire fencing after week of angry protests See entry for 11/10/17. Though initiated by a political racket (the UDF) recuperating discontent, some aspects of this are clearly independent of them. 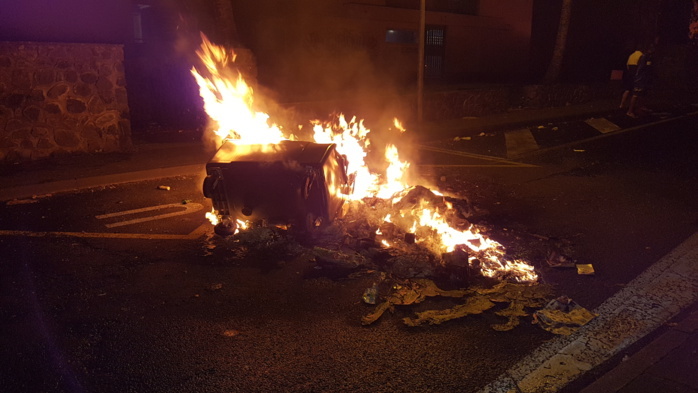 UK, London: 100 youths clash with cops, throw fireworks etc. 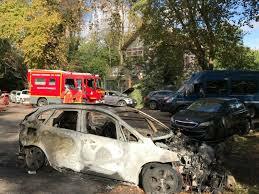 France, Paris: Minister of Labour forced to cancel Direction of Human Resources event-of-the-year as “far left” demonstrators burn 3 cars outside congress building “There is something especially detestable in every Human Resources department, and it begins with pretending to worry about humans when its only concern is actually about their submission and their performance” Video here. See also “The CGT – sheepdogs in wolves’ clothing”. 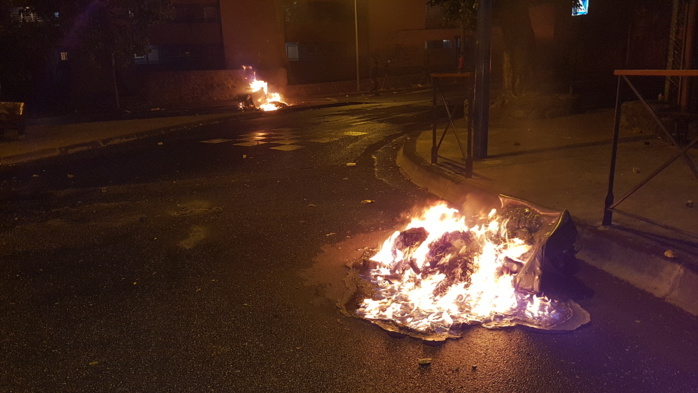 Colombia, Baranquilla: university closed, traffic stopped as “hooded youths” burn motorbike, clash with riot cops…similar events in Bogota…and Medellin. These were over cuts in the education budget. 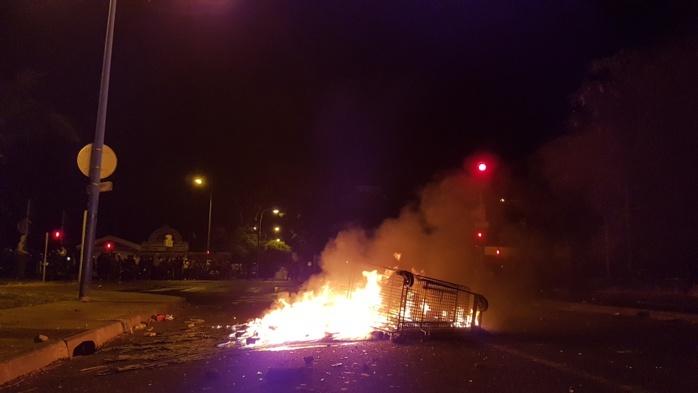 South Africa, North-West: truck torched, burning barricades in service delivery protest…15-year-old shot & killed by car driver opposed to protest “A truck was torched in the early hours of Tuesday, on the Lichtenburg-Coligny road and the road was barricaded with burning tyres and other objects…”…This started out as a protest demanding better living conditions but has now escalated to a full-blown war…”A police armoured vehicle was set alight in Blydeville in April and a truck transporting day-old chickens was also torched. In Coligny also in Ditsobotla, six houses were torched after a teenage boy, Matlhomola Mosweu was allegedly killed by two farmers — Pieter Doorewaard and Phillip Schutte — who accused him of stealing sunflower.”…riots in 3 other areas; arrests for burning cop Nyala (armoured truck) and looting “Three houses, three trucks and a tractor were torched in Coligny and several shops were looted. 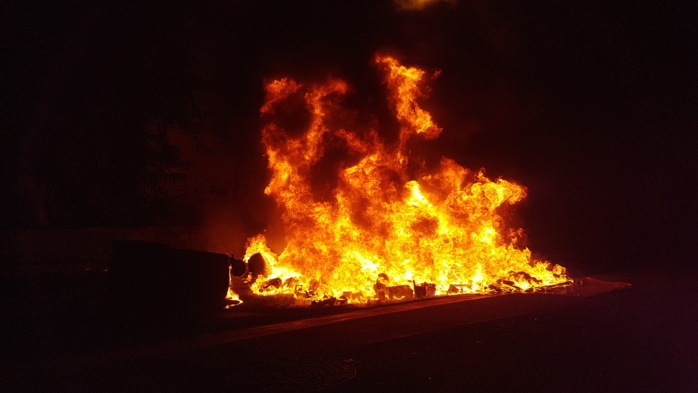 Three trucks were also set alight in Blydeville, Lichtenburg during the violent protest that flared in Blydeville on Friday and spill over to Coligny and Itsoseng. A police armoured vehicle (Nyala) was torched in Blydeville on Monday afternoon” …former workers furious about non-payment of wages “…a group of former employees of the Gupta-owned Shiva Uranium Mine embarked on a protest, claiming they were not paid after their retrenchment…Supported by the community of Tigane, they tried to march to Hartbeesfontein but police managed to stop them before they got into town where they allegedly intended to damage property. In the process, a police vehicle was damaged.” About this see also entry for 13/10/17. US, Rhodes Island: amongst other places, Columbus statue spray-painted on Columbus Day See also this, by Zinn. 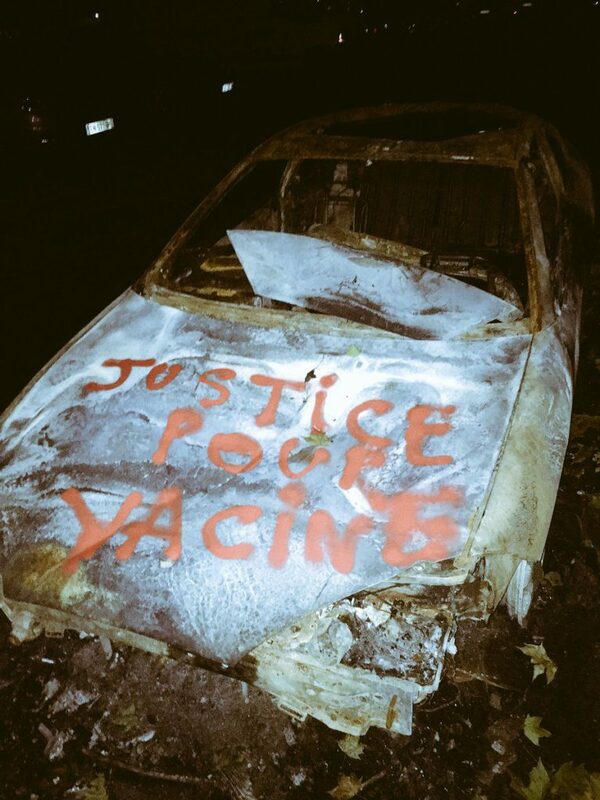 France, Yvelines: 60 bins & 6 vehicles burnt, cop patrol attacked by 15 youths with molotovs This report speculates the reason for these events as being the recent closure of a mosque for its apologistic attitude towards terrorism, but rioting is not usually the kind of thing fundamentalists get involved in. Haiti: state forced to back down over aspects of budget faced with rising revolt. See also this about a riot in Port-au-Prince, just the day before on September 30th “…a demonstration by several thousand people opposing the government’s budget and demanding the departure of the Head of State … degenerated into violence when the demonstrators arrived in Pétion-ville..individuals broke several storefronts and windshields of several vehicles. Stones and shards of bottles were also thrown at some buildings, unimpressed by the security agents who fired shots in the air. The protesters also erected several barricades, blocking traffic. Sporadic shot was reported in the Juvénat neighborhood. The damage seems considerable… The police had to use teargas to disperse the crowd of highly motivated demonstrators… Several wounded were reported. 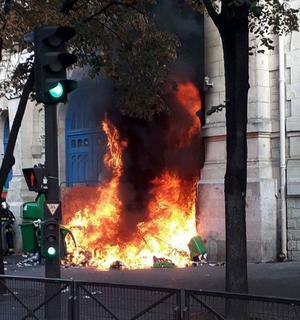 Numerous arrests were made…Some of the demonstrators tried to reach the city center but met with a strong resistance from the CIMOs on the Champ de Mars, which made intensive use of tear gas… causing scenes of panic and causing respiratory inconveniences in many local residents…The opposition denounces the violence, alleging an infiltration of the peaceful march by men of the power in place, to provoke troubles and accuse the opposition of disorder…” See also this video. Spain, Catalonia: several wounded in shooting at polling station…as the anarcho-nationalist opportunists of the CNT find themselves to the right of… class-conscious workers … “…All four dismiss the independence movement as a distraction from more pressing social issues, claiming it has proved a useful smokescreen for the Catalan government’s spending cuts. “What’s happening now is that everyone has been told that Spain is the origin of our problems,” says Salas. “They are being fed a version of Catalan history that has nothing to do with reality and this has radicalised young people around independence.” “There’s been a sort of mantra, that Spain is robbing us, and there’s a lot of confusion, as though the Spanish government and the Spanish people were one and the same,”…“All of us here are immigrants but we’re all Catalans, too,” says Martínez, who is dismissive of the case for Catalan independence. “It’s about class. I don’t have a problem with the person standing next to me, it’s the one above me who’s the problem.”” See also this: “In 2011 the town and city squares in Spain were taken over by young people protesting against unemployment, lack of affordable housing and corrupt politicians. This movement was particularly strong in Barcelona and the repression there was the worse in the whole of Spain. 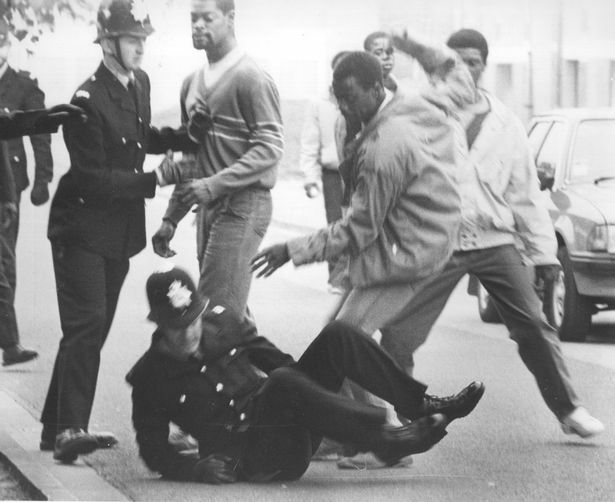 Young people were viciously attacked by the heavilly militarised and notoriously homophobic and anti-immigrant local police force. These young people were the heirs of the people mentioned in Burgen’s article. 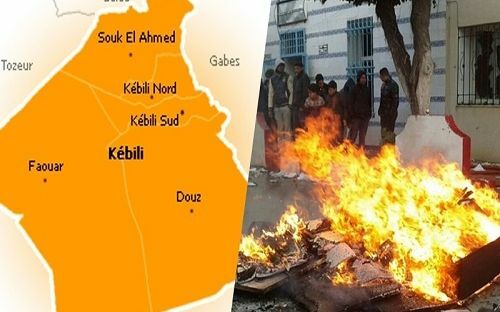 Morroco, Rabat: 150 bins burnt, cops stoned etc. ; cops retreat Videos here & here. The report says this was done by “30 hooded youths”, but the videos show a lot more people than that and most of them seemed to have their heads bare. Presumably the idea of “hooded youths” seems more sinister for those spectators open to easy manipulation than just “youths”, though obviously hiding your face is often necessary, and it’s a bit of a surprise that they seem to not care that they could be recognised.